India’s affinity for gold is a well-known fact, so is its dependence on gold imports to meet the domestic demand. More than 98 percent of the gold consumed in the country is met through import, while the rest is met through recycled domestic gold. In 2015-16, India imported 926 tonnes of gold. Ironically, despite this huge appetite for gold and such massive imports, our country stands nowhere when it comes to influencing global bullion prices. On the other hand, our next-door neighbour and closest competitor, China, which overtook us as the largest consumer of gold a few years back, has already made inroads into the global bullion market. Last year, Bank of China, China Construction Bank and ICBC Standard Bank all became members of ICE Benchmark Administration (IBA), which is responsible for the London Bullion Market Association (LBMA) Gold Price. Not only this, China has in fact gone a step further to establish its own gold price fixed in Yuan, known as the Shanghai Gold Benchmark. This now provides market participants an alternative price fixing mechanism in a different currency ending the monopoly of the LBMA Gold Price. India must aspire to become a price influencer instead of a mere price taker in the global bullion market. However, a prerequisite for this is for India to develop her domestic bullion market, which is currently an unregulated entity. Absence of a transparent price discovery mechanism, lack of standardisation in the quality of gold, inadequacy of transparent trading (buying and selling) market, all resulting in a trust deficit, are few of the challenges that are prevalent in the country. Internationally, this kind of trust deficit has often been bridged by the active participation of banks in the domestic gold market. In India, banks have been the mainstay of the financial system. It is therefore unfortunate that they do not play an active role in gold monetisation. Indian banks have been apprehensive largely because gold is not viewed as part of the banking business. This is contrary to global experience. 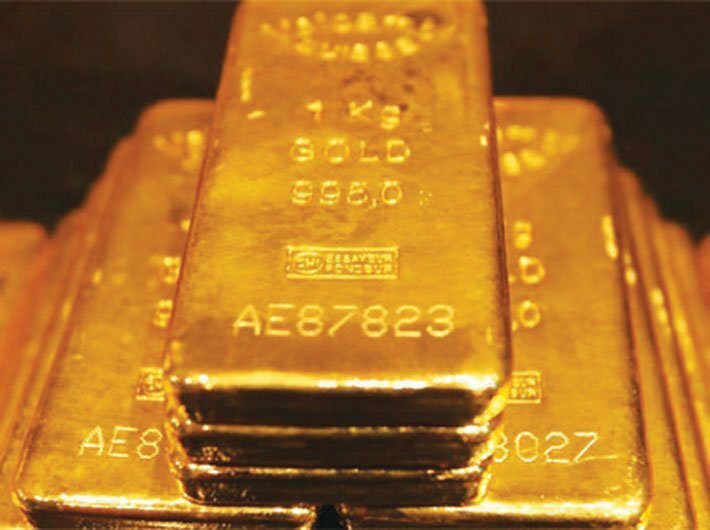 Ironically, some of the major foreign banks in India, such as HSBC, Standard Chartered Bank, JP Morgan and Bank of Nova Scotia, all have strong bullion business arms and are accredited to contribute to the LBMA Gold Price determination. India has failed to exploit the expertise of these banks in developing a strong bullion banking business. A dedicated bullion arm of existing banks or even better, a separate entity such as a bullion bank will bring about the much needed paradigm shift in the domestic bullion market. Bullion banking is a well-established concept amongst the developed economies of the world and has been in existence in both Europe and the Americas for a long time. This concept is one that is gaining popularity in Asia, with China taking the lead. Most bullion banks are diversified business arms of larger commercial and investment banks specialising in the business of commodities, specifically precious metals. Although, the functions of bullion banks are varied, these are typically engaged in the business of precious metals through market trading, clearing, vaulting, distribution through leasing and sale, acting as an agent between lender and borrowers, mine financing and hedging, and generating research data on precious metal market, among other activities. Bullion banks function in a manner similar to commercial banking, by treating bullion the same way as commercial banks treat cash. Globally, almost all bullion banks are part of the LBMA and its sister concern – the London Platinum and Palladium Market (LPPM). On the other hand, most Indian banks have traditionally been averse to dealing in gold-based products, be it the erstwhile Gold Deposit Scheme, Gold (Metal) Loan (GML) or the recently launched Gold Monetisation Scheme (GMS). So what makes the banking community look down on the business of gold? The reason for this apathy can be explained as a mix of both commercial and regulatory challenges. On the commercial side, banks claim that the gold industry is largely an unorganised sector with easy access to grey market gold. With no guarantee or sure way of determining the quality of gold (unless through refining) banks feel that the business of gold is best left to the jewellery industry. On the other hand, there also exist multiple regulatory challenges for banks. There are multiple regulators involved in the business of gold. While RBI regulates banks dealing with gold, the import of gold is governed by the Director General of Foreign Trade (DGFT). Similarly, the Securities Exchange Board of India (SEBI) oversees the trade of gold derivatives and gold mutual funds and exchange traded funds, while Bureau of Indian Standards (under the ministry of consumer affairs) certifies the quality of gold. The agony of dealing and coordinating with assorted regulators at the same time keeps most banks at bay from participating in the gold business. Despite this, if a bank dares to take up the business of gold, hedging price risk becomes a dilemma as RBI does not allow banks to participate in domestic commodity exchanges (except for GMS). Furthermore, banks that collect gold through schemes like GMS lack suitable avenues for deploying the gold, making it a dead asset. Hence, most banks prefer to skip dealing in gold. Notwithstanding existing hurdles, for gold monetisation to work in India, it is imperative for banks to be involved in the business. It is also true that some banks (or institutions) have more experience in dealing with gold than others. India requires a bullion bank, and RBI’s commitment to issue differentiated banking licences is the perfect opportunity to create a niche bank for the specific purpose of dealing in bullion. With a focussed business model, a bullion bank can be a ‘one-stop’ institution responsible for undertaking lending and borrowing of gold, installing a vaulting mechanism, lending logistical support to gold distribution and helping as a repository of bullion related data and information. A bullion bank will also help take care of the twin problems of standardisation and price discovery in the domestic market. Most importantly, introduction of a bullion bank will provide the much needed impetus to gold monetisation. The bullion bank will be better suited to offer innovative gold-based products, such as gold-rupee swaps with commercial banks for the purpose of GMS, where the commercial banks can act as collection centres without having to worry about the end-use of the collected gold. Indians trust their banks implicitly and this is an important attribute to capitalise on for bringing domestic stocks of gold back into the financial system. A bank that specialises in the business of bullion will only further strengthen this trust amongst all market participants. A bullion bank will have the necessary expertise to buy back gold from retail consumers and will be an alternative option for sale of gold to jewellery stores. This in turn will bring back majority of physical gold held for purpose of investment back into the financial system. Subsequently, the gold collected through GMS and buy-back can be recycled and used for the purpose of GML at lower rates of interest, thus easing the burden on import. Alternatively, they can be also used for minting IGC. The bullion bank can further promote young investors to move to innovative gold backed investment products such as gold savings accounts, gold ETF and gold bonds rather than invest in physical gold. If RBI is willing to issue guidelines for a bullion bank, India may be able to eventually play a more dominant role in the global bullion market. With this well timed policy intervention, India can soon have its own bullion bank participating in the global price discovery mechanisms. Given India’s penchant for gold, the country should have been at the forefront of global bullion market. Hopefully, a bullion bank will be the first step in this direction. Soundararajan is senior fellow and head of research and Goswami is associate fellow at Pahle India Foundation.